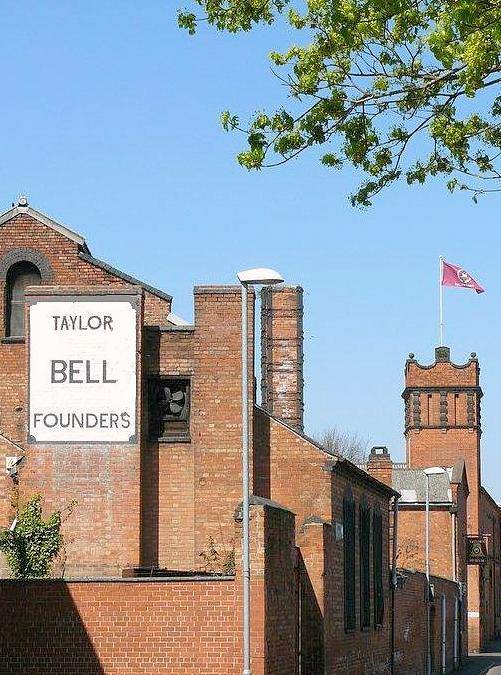 John Taylor & Co. continues a line of bell founding which has been unbroken since the middle of the 14th Century, when Johannes de Stafford was active only 10 miles from the site of the present foundry. 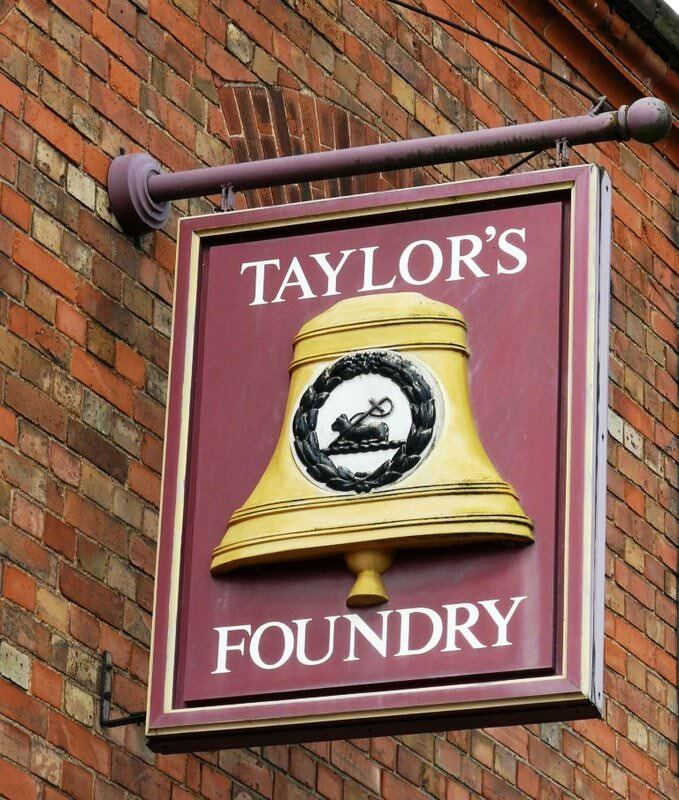 From 1784 the business was operated by members of the Taylor family, and in 1839 it moved to its present position in Loughborough, and is now proud to operate the largest bell foundry in the world. 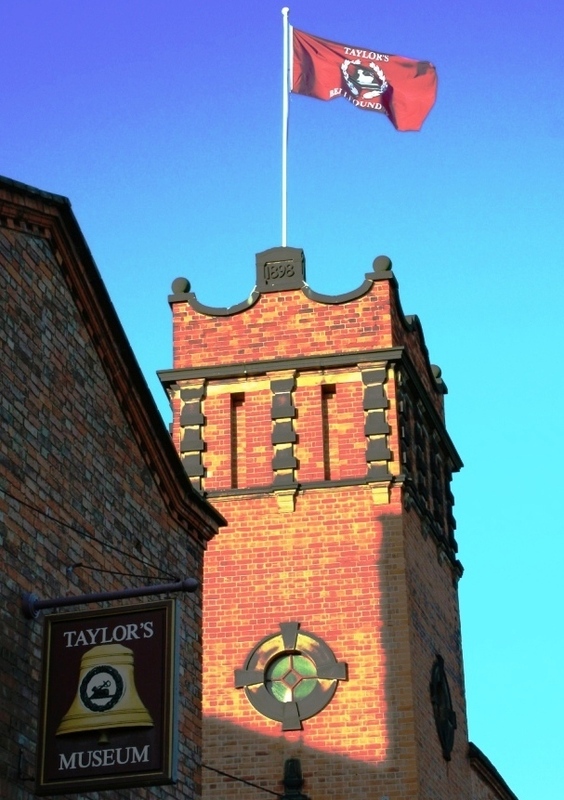 Centuries of experience, together with up to the minute advances in technology, has put Taylors at the forefront in the design and manufacture of bells, their fittings and frameworks. 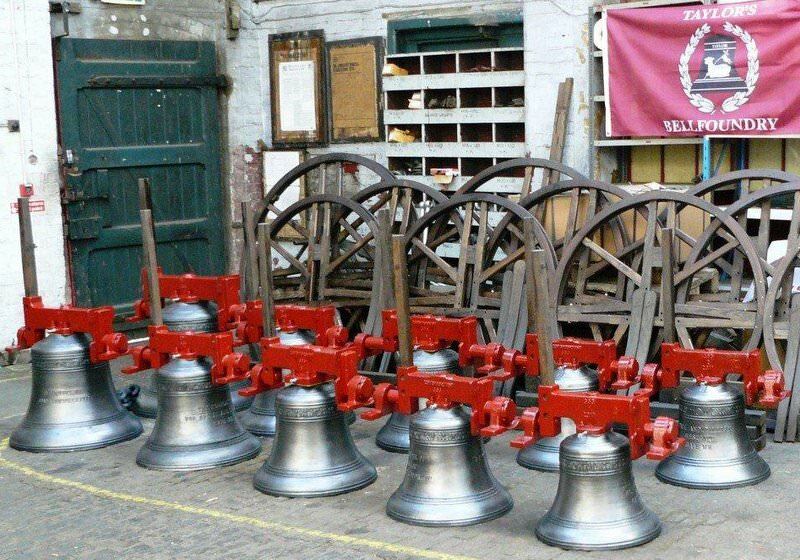 We produce single bells, peals of bells, chimes and carillons, together with sets of musical handbells and other small bells for customers worldwide. 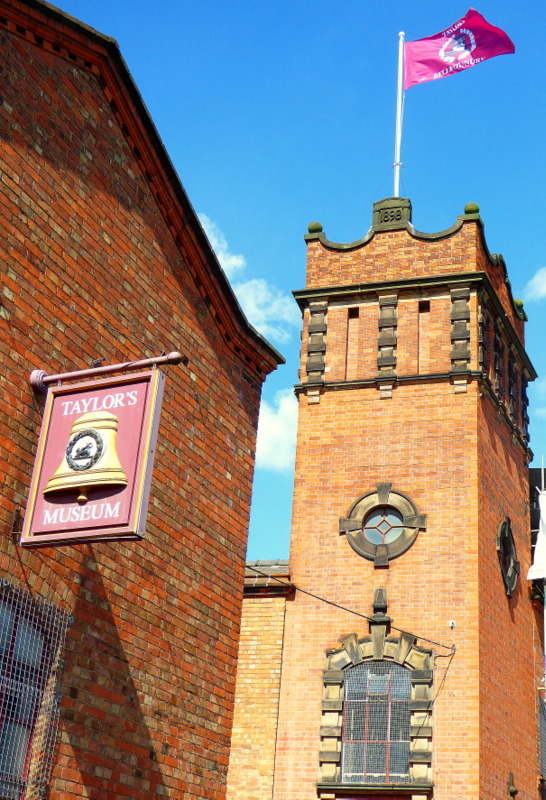 The Foundry showing the campanile that houses the ring of 12 bells - the carillon tower is not visible in this photograph. 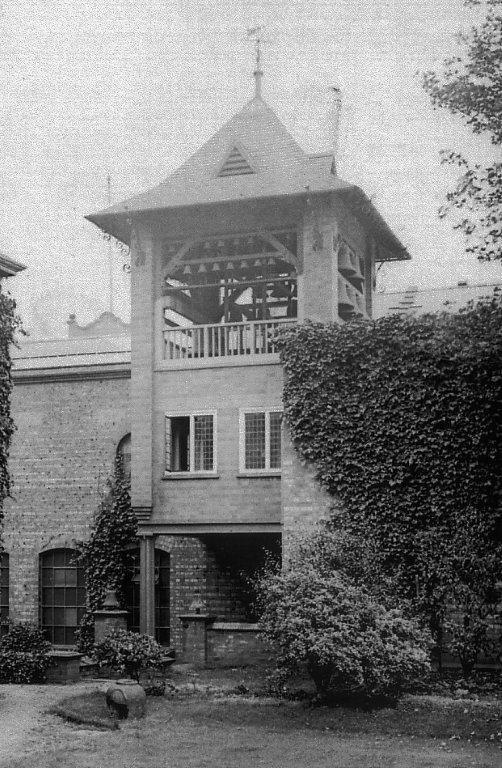 The carillon tower circa 1921 when Bellfoundry House garden still existed. 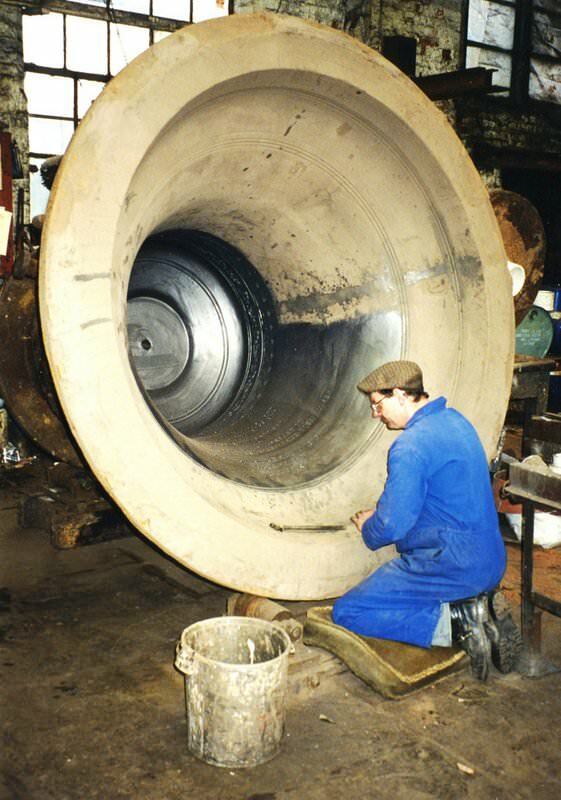 After many years of experimentation Taylor's perfected their five tone principle of bell tuning in 1896, producing purity and sweetness of tone and allowing bells to sound with full and rich mellowness. 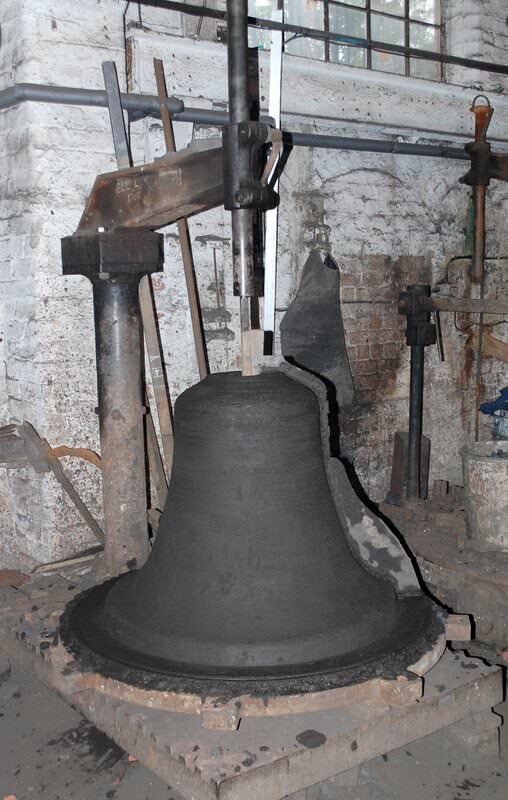 This gives Taylor bells their special characteristic and sets them apart from all other cast bronze bells. The Bell Master and the Bell Tuner work on five principal harmonics, the hum, fundamental, tierce, quint and nominal but these in turn influence and affect many others. When the correct frequency for each of these harmonics has been achieved, the bell is in tune with itself. 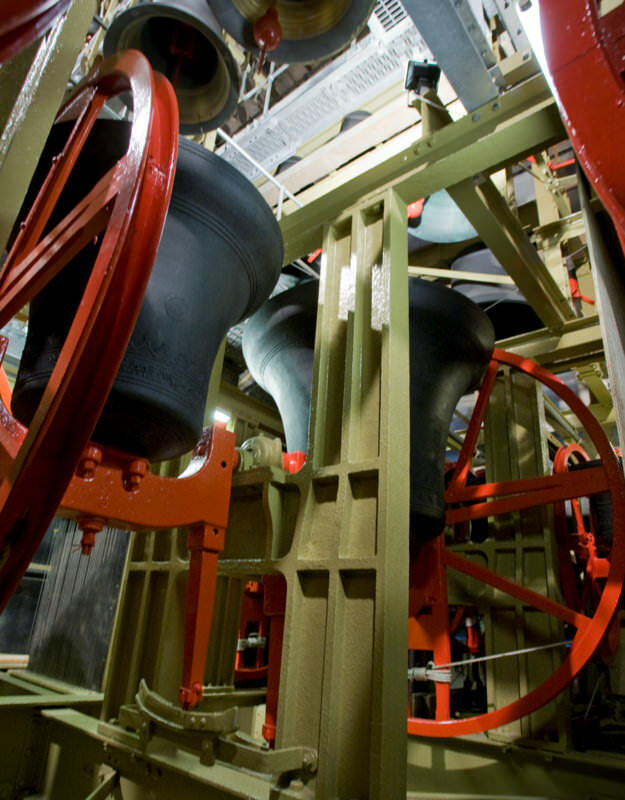 In a set of bells, each bell is tuned using the same standards applied to its own frequencies and thus each bell in the set is not only in tune with itself, but also with each bell in the set. Bell cases and base plates for various sizes of bell - and we have much bigger ones than these for really large bells! A bell core constructed from brick and loam forms the inside shape. A bell case, made from cast iron, forms the outside shape when lined with bricks, loam, horse manure and goats hair. Inscriptions are pressed into this while the clay is still wet. 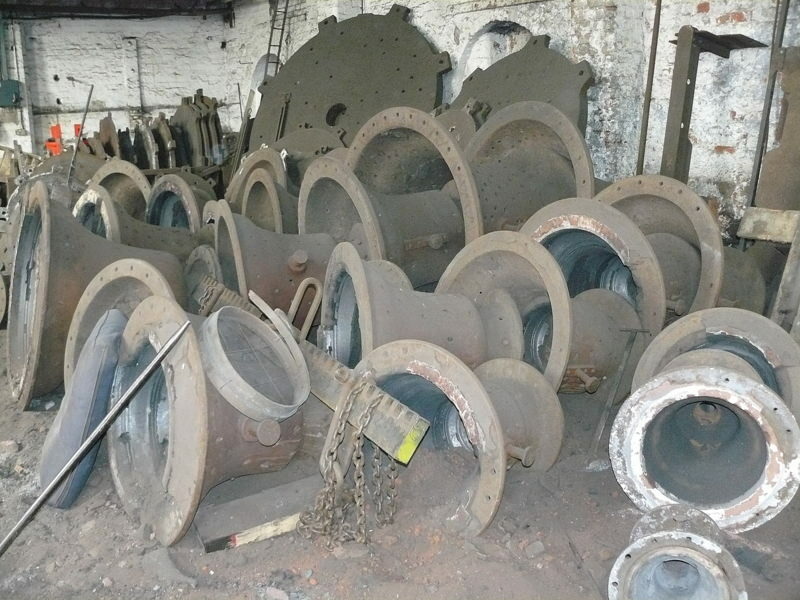 A new ring of ten bells with fittings awaiting dispatch from the Foundry. A finished Taylor bell hung for full circle change ringing.